Just a word to say how amazed I was with the service received last Tuesday. It went so well!! Thanks so much again. Dear Arden and guys. I just want to express my sincerest thanks for the great job you did moving our baby grand piano. You guys were so patient with my mother and turned a stressful situation into a comic one which was really appreciated. You seamlessly moved the 2 chairs and the piano from one house to two different houses, always with a smile on your face. You guys were polite, worked efficiently and quickly and were very pleasant. It felt like we were dealing with friends. I will recommend your company to EVERYBODY. I can’t thank you enough. And let’s not forget the very important point of contact when we call your company, Cheri! Talk about great client service, she’s got it! Love you guys! A note of thanks to the Ottawa Piano Movers who took care of the move of our piano as well as our entire home this June 2015. We were so pleased with the level of service from this company, from the prompt and courteous email replies from the administration, to the fabulous team of 6 who arrived on time to move us on moving day. Very friendly and outgoing team who were pleasant to spend the day with and did great work. They even offered a ride in the truck to our 2 boys – which totally made their day. They went above and beyond to put furniture back together and set things back up on the other end as well. Would not hesitate to use their services again and recommend to others. Thank you! I want to compliment your excellent employees, they did an amazing job to move the piano by taking every precaution to protect the piano and the walls of the school. The service was very professional and courteous, for that reason we won’t hesitate to recommend your company to other people. Thank you very much for the excellent service. itself, the entire experience was wonderful from beginning to end. outstanding one for our family. A great big thank you for your professional moving services. Bob and Jeremiah have come and gone. They did a fantastic job! We will certainly keep you in mind for our future moves. Ottawa Piano Mover deserves an A++++ for their customer service. 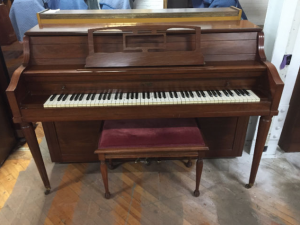 I was looking for someone to move my mother’s piano from her house in Kingston to her new home in a nearby retirement residence. 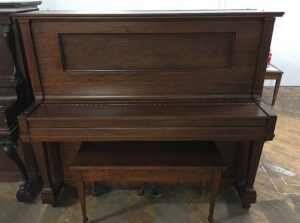 Within hours of requesting an estimate on-line, I received an email response to my inquiry and, that same morning, I received a phone call from them advising me that they would be able to deliver the piano that same day … and at a very competitive price. I was thrilled to hear this news but was even more impressed with the amazing customer service that they provided once they arrived. Ardie and Bob were prompt, professional, polite and personable – not to mention entertaining! They took great care while moving my mother’s precious piano and made a point to make a personal connection with her once they arrived, even taking it one step further by taking a video of her excitedly playing her piano just moments after it was delivered. In short, Ottawa Piano Mover provided us not only with their expertise in moving pianos, but also with the very best customer service EVER! I would highly recommend them to anyone looking to move a piano, whether across town or just across the hall! Thank you so much Cheri, Ardie and Bob! Merci beaucoup! I just wanted to send a note to say how great the guys were moving the piano. They arrived on time, took good care of everything and the piano arrived safely at my daughters’. So a big thanks to your company – Ardie & Bob were wonderful team with a great sense of humour as well and you were very reassuring with anything you could do to help us. Ottawa Piano Mover delivered first-class service – very friendly scheduling, a price below most other competitors, they showed up exactly on time and took care of my house during the move. They even lowered their price on finding that my destination was too small to fit the piano. This is a great company. Thanks to you and your crew! I must really thank the whole team! The service was incredible! Starting from my first phone call to my last contact with you guys, I was impressed the whole time! You guys were friendly, highly professional and efficient. You were all so reassuring! I will recommend your company to anyone who requires a piano moving service and I will call you again for my next move! Thanks again! We were very impressed with the precision and professionalism of this move. Everything from the clearly defined work order, down to the accuracy of arrival time, and smoothness of the transfer was a most refreshing voucher for the integrity of your business! Thank you both, and the skilled team, for a most pleasant transaction. I will recommend you highly to anyone needing to move a piano! Truly phenomenal service – from the very first phone call, you know you’re in good hands. It was easy to set up a time convenient for all parties, the prices are more than fair, and the delivery guys really know their stuff. Watching them communicate with each other (courteously and effectively) while hauling a piano is really quite something. They got our piano into a small elevator and around tight corners with no worries, and they had the utmost respect for our time and our home. We certainly know who we’ll be calling when it’s time to move. Thank you so much! Ardie and his team were so great for our move! They have great work ethic and were extremely careful. We have recommended them to many people! Thank you so much for the safe delivery of our piano! I cannot tell you how excited we are to finally have it here. I hope that everything went well with your daughter’s move from Sudbury too. Thanks again for all of your help, we will definitely be using your services again in the future. Arden, My compliments. It looks great and we’re very pleased with your services. Thank you so much. I appreciate what you have done for me… I’ve told a few people about your beyond excellent service. Thank you for everything. The Gentlemen were so nice and made the work looked so easy‎ ( but I know sometimes is must be heavy):). If in the future we need help with tuning or anything else I will definitely contact You. Have a nice day and great week- end! Just wanted to send my thanks across for the quick response with the piano move this week. It was a surprise gift for my wife and she loves it. The guys were great. Thanks again. Just wanted to send a quick note to say the two gentlemen that moved my piano this morning did a wonderful job. They were very pleasant, professional and had to do a lot of work to fit my silly piano in my new home, but they worked some magic and managed to get the job done. Fabulous job, I will definitely recommend your company to all I know.. Hopefully I wont have to move the darn piano for a very long time. I just wanted to say how pleased I was with your efficiency and your cooperation. I just missed you at the drop off location this morning – you were so quick. It was a great pleasure having the piano for our concert on Sat. night. I would certainly recommend you to anyone in my music circle, and will hire you again in the future, when the need arises. Thank you again for being so accommodating. It was a wonderful experience dealing with you. – I will not hesitate to pass your name along to anyone looking for a piano mover. 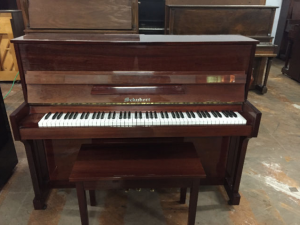 Lol – not that I am continually running into people looking to move pianos, but you never know. Again. – thanks! Everything went well! Thanks to you all for your promptness and professionalism. Fixing the player of the piano was a nice bonus! I will most definitely recommend your company to anyone looking to move a piano. Thanks. .. yes everything was perfect. .. the men were so careful. .. I would definitely recommend the company! Everything went well with the piano move this morning – the two men were lovely and a pleasure to work with. We will book you guys for our next move of large furniture as well as the piano. I am writing to report that the move of my piano and other items, on Monday, July 29th, went flawlessly. Your employees, arrived on time and proceeded to give an impressive demonstration of the mover’s art. In particular, they were somehow able to negotiate a heavy sofa-bed into a rather tight stairwell with tricky turns. To top it all, they finished well ahead of my deadline. Thus, I will not hesitate to use your services again, nor to recommend same enthusiastically. The guys who moved our piano were fantastic! I would highly recommend your business to others! All went well today, your movers were great. Please let them know that we appreciate their hard work. We will recommend you guys! Just wanted to say thanks for the GREAT moving service – friendly, and professional and very careful. I will highly recommend your company to others. Just wanted to thank you for completing our piano move. It went off without a single hitch. Your movers were on time and the most professional and experienced that we have used. They were also a great bunch of gentlemen as well. Please pass on our thanks to them. Thanks again and we will definitely recommend you to anyone contemplating a piano move. The move went very smoothly indeed; I think it only took a hour or so. In fact, the movers got the piano out of the church so fast that I had to cancel my cab. So thanks for a job well done. I’d recommend your company any day. I should add that Artie took the time to describe the condition of the piano to Jack and gave some advice on simple refinishing for better appearance. That was valuable information and much appreciated. Jack is blind, so that gave him a bit of a headstart. Thank you so much for the amazing service!!! Dealing with Ottawa Piano Mover was great. Ardie is so kind and professional. It was a pleasure to have him take care of my piano. Thank you!!!!! Just wanted to thank you and yours for a wonderful stress-free piano move. The service was beyond excellent. If you ever need a reference I will be more than happy to provide one. Good morning, a quick note to thank you for the successful move. It was good to meet owner, we had a nice chat, as I suspected through our own communication, your business has a down to earth family feel to it…makes me wish I had more pianos to move. Thank you so much! Such great movers!! I’ll definitely recommend you in the future! Amazing guys you have there! What a great job. Thanks gang! Just to let you know that my piano has arrived to its destination happily and safely. It has been a very nice and cheerful experience to work with your guys, and I’ll definitely recommend you folks to my friends (and myself) in the future. Thanks for a quick and flawless move of my piano. I would definitely recommend you and use your services again. Thanks!! Thnx for the great job. My wife and I extremely pleased. Very professional service. If you need a reference, don’t hesitate to put my name forward. Thnx…. We were happy to get the piano moved; it was certainly quickly and efficiently done. Nothing like the 3-hour ordeal of the two previous attempts, with all the shouting, slipping weight, and DANGER. Your team was impressive. The earlier attempts made me realize how dangerous moving these old pianos can be. Ardie and Cheri, thank you SO much for your excellent and solicitous service. Customer service is sadly underrated these days by many businesses, and the level of care and attention you provide is beyond what I�ve come to expect in recent years. I really appreciate it. Thanks for the move. The movers were wonderful. How they do this day in and day I have no idea. Two very nice fellows. Thanks for the move. The movers were wonderful. How they do this day in and day I have no idea. Two very nice fellows.A big thank you to the guys who did such a great job today. My friend and I were both impressed with how smoothly the move went. Will definitely recommend you to anyone I know looking to move (or buy) a piano. Thanks for all your help! I was very impressed with the professionalism and attention to detail that the movers displayed today, plus the mentoring. They took care of the piano, the hardwood floor and were patient and methodical in moving the baby grand (also amusing by the way). Thanks and we’ll use you again when the time comes to settle the piano in its new home. Your moving team just left and I wanted to be sure to tell you how great I think they are. They did a fantastic job, and were very gracious and kind to my 7 year old. Given what a long day they had had, they were still polite, professional and efficient. I wish I could afford to have tipped them more! Thank you SO MUCH – your guys were so skilled with such a tough job! I was really impressed by how they took so much care not to scratch the piano or the walls. They were very friendly too. I really appreciate the effort! Thank you for the great service and attention to detail. Very professional and the team was very efficient. A sincere thank you to Cheri, Jessie, Ardie and Bob. The very prompt and friendly responses to our questions were deeply appreciated. Both Ardie and Bob were very professional and great fun. They took exceptional care in moving our piano and it was evident that they absolutely knew what they were doing. We would recommend them in a heartbeat. This last testimonial is a little different…. I would like to thank you guys for helping me out this afternoon off the parkway! You guys are truly kind and so helpful, you turned my day around for the best and I couldn’t be more grateful! Thank you again so much! I will be spreading your card around and hopefully get you guys some more business! Have a great day! Here are some happy clients! We moved their piano into a field so a video could be shot. Here is a happy client who performed for us! And here is another happy customer! We had such a nice time with this customer! This young lady’s dad purchased a piano from us and now she plays every day. 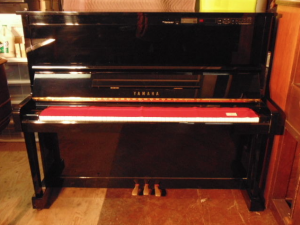 Here is another piano purchased from OPM. 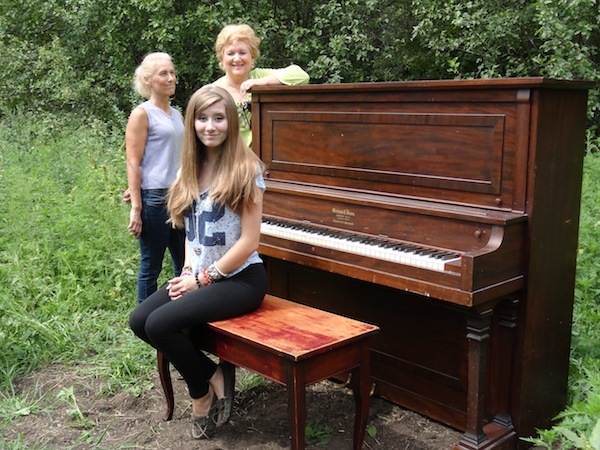 We had so much fun with this lady, moving her piano to its new home.